Pale Moon is an open-source web browser forked from Firefox. It retains the fully customizable user interface similar to Firefox 28 and earlier. Since version 26, Pale Moon uses Goanna engine, which is a fork of Firefox’s Gecko. Because it is a fork of Firefox, Pale Moon is compatible with most (but not all) of the available Firefox extensions and plug-ins. Pale Moon will continue to support XUL and XPCOM based add-ons indefinitely, in contrast to Mozilla’s intention to deprecate them in Firefox. 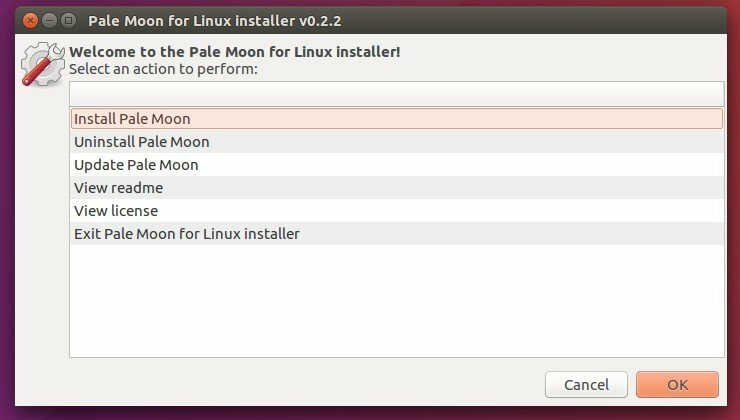 The official way to install the browser is using the Linux installer script that offers a graphical wizard to install, upgrade, or uninstall Pale Moon. Download the installer, extract, and finally run the .sh script from result folder. Tip: For those who don’t see the Run option from the script’s right-click menu. Go to File browser’s Menu Edit / Preferences / Behavior tab, and then check the box says “Run executable text file when they are opened” and finally restart File browser. 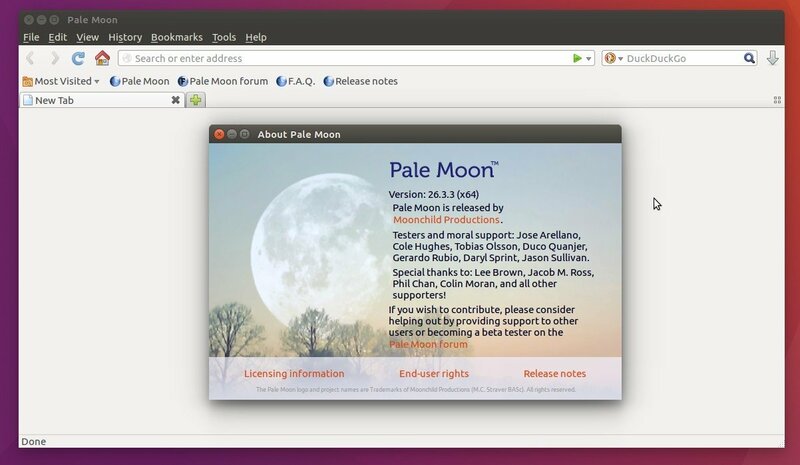 Steve Pusser is maintaining an unofficial repository with the latest Pale Moon for Debian/Ubuntu. With it, you can install the browser and receive future updates of Pale Moon along with other system updates via Software Updater utility. Type in password when it asks, there’s no visual feedback, just type in mind and hit enter. Depends on your Ubuntu edition, you may replace 16.04 with 15.10, 14.04, or 12.04. Also replace 16.04 in the code with you need. And the repository can be removed via Software & Updates utility under Other Software tab.